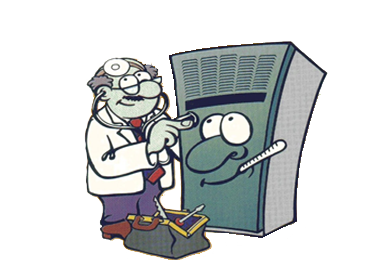 Proficient Heating and Cooling is a leader in local HVAC repair. We are a family owned and operated HVAC service company with over 22 years experience! Our dedication to you, our customers, is our number one priority. Furnace problems in the winter can be a huge problem. Air conditioning outages in the summer can also be inconvenient. Don't wait until your systems go down, let Proficient Heating and Cooling handle your HVAC Repair. Proficient Heating and Cooling provides exceptional HVAC service and maintenance. Whether your heating system, central air conditioning system or whole house humidifier is broken or just needs maintenance to keep them running smoothly, Proficient is the HVAC contractor for you. We put our customers needs first and try to provide 100% satisfaction. We promise to go the extra mile. We also offer HVAC repair maintenance agreements for our residential customers along with our commercial customers. Keeping your heating systems, cooling systems and other components of a complex HVAC system running smoothly and efficiently is an important aspect of common home maintenance. Most homeowners maintain their vehicles religiously but neglect important home maintenance procedures. The heating and cooling systems in your home require regular cleaning and maintenance. To keep them running at peak efficiency, contact Proficient Heating and Cooling today and inquire about our HVAC service agreements. One of the Best HVAC Companies! Not all HVAC companies are created equal. Our dedication to superior service, high quality products for an affordable price and reliability make us a cut above other HVAC companies. We pride ourselves in top quality HVAC service and top quality HVAC products. See our testimonial page to see what our customers are saying about us. Our HVAC contractors are factory trained in all of the most up to date techniques so that we can provide quality service at an affordable price. Being family owned, Proficient makes sure that only top quality HVAC contractors work for our valued customers. Our good family name is on the line and we require the best. Not only do we serve homeowners and other residential customers but we also provide commercial HVAC services.